Lord & Taylor's flagship store on Fifth Avenue. MIDTOWN — The Fifth Avenue building that houses Lord & Taylor’s flagship store will soon become WeWork’s Big Apple headquarters. Hudson’s Bay, which owns the retail chain, sold the building at 424 Fifth Ave., between West 38th and 39th streets, to the coworking giant for $850 million, the company announced. Lord & Taylor will still operate a 150,000-square-foot store inside the building, but the rest of the space will become WeWork’s headquarters and office space for the company. 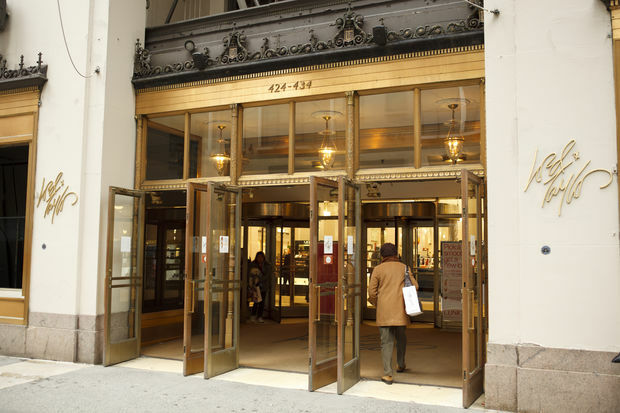 The Fifth Avenue store, which was landmarked in 2007, is “many times less productive than the Saks Fifth Avenue flagship building,” which is also owned by Hudson’s Bay, the release noted. The store will maintain its current size until after the 2018 holiday season, according to the release.